Mmm, this totally hit the spot! I was craving carbs and salt and this delivered on both. The restaurant was packed during lunch so we had to wait for a counter seat to open up. 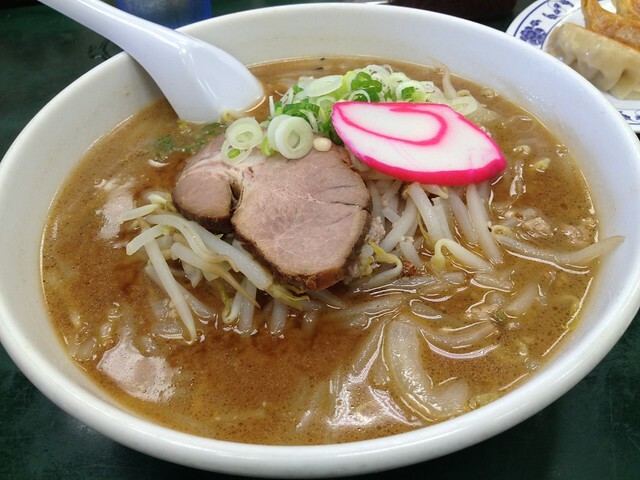 Glad we did because the ramen was pretty good! 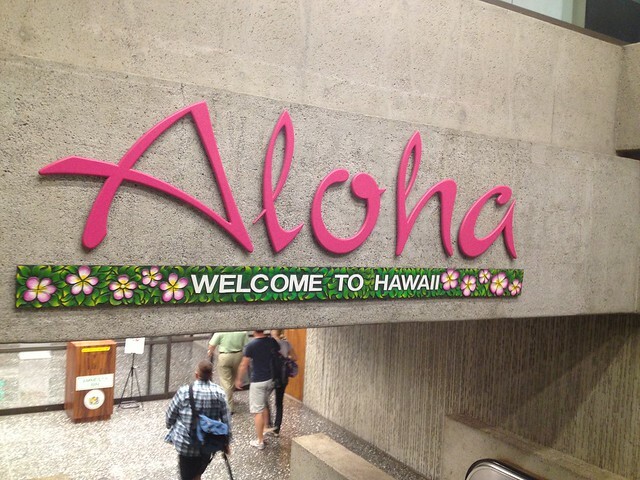 “Aloha Welcome to Hawaii” sign at Honolulu International Airport. 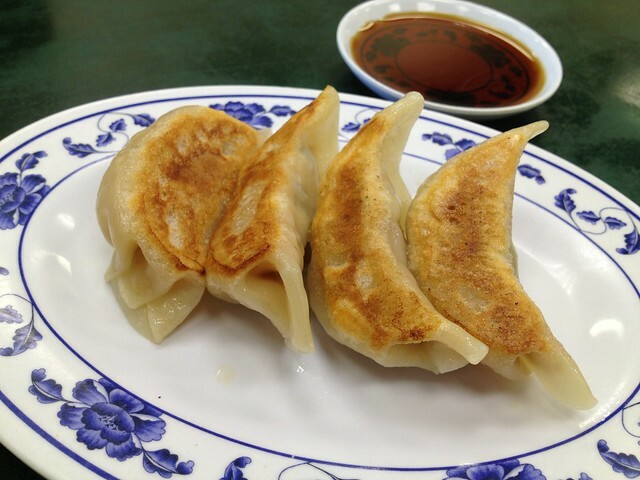 This entry was posted in Ezogiku, Restaurant and tagged dumpling, fish cake, green onion, miso, pork, ramen, soup by vicentesf. Bookmark the permalink. Would love this combo right about now (including the trip to Hawaii!) Looks Yummy!! Double yum! Wow…$2.25, that’s a steal, at least from a NY point of view! Hawaii looks lovely.